There was a steady stream of visitors from far and wide to the Cupar and District Floral and Horticultural Society’s annual flower show at the weekend. The show, now in its 103rd year, was held in the Corn Exchange and attracted new exhibitors to the show, providing a fabulous spectacle for those attending. 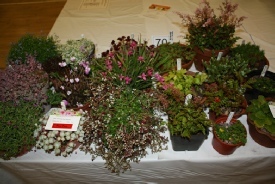 Judging the garden section for Cupar and the surrounding area, Franek Janezck was, impressed by the work and dedication that the exhibitors put into their gardens. Les Wheelans, President, said “that we hope more entries will come forward for next year’s garden judging, as when driving around we see some fantastic looking gardens that could easily be entered into the various competitions (vegetable plot/garden/allotment; garden flower display; cottage garden; landscaped garden; hanging basket/window or patio ornament); so people, please do not be shy about entering”. Due to the long warm summer that we’ve had this year followed by a significant amount of rain, it affected the amount and quality of the cut flowers. What was shown on display was lovely but the numbers of exhibits per class were slightly down on the previous year. The sweet peas, as usual provided a beautifully-coloured rainbow effect, coupled with smelling so fresh. 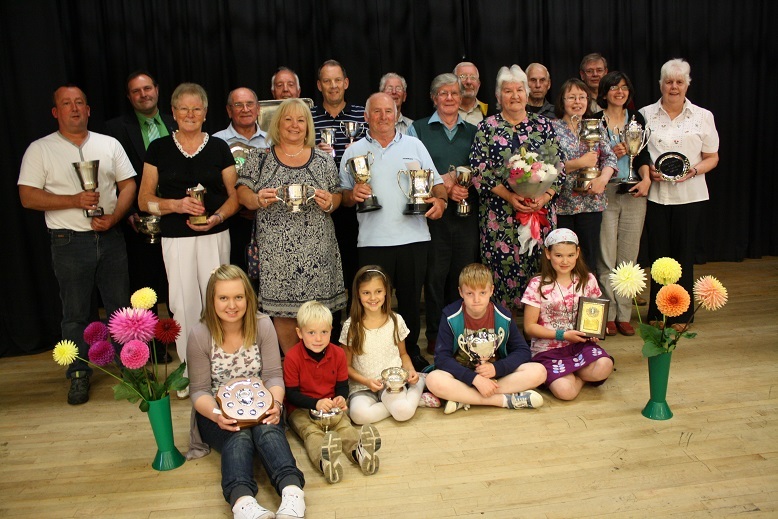 William (Bill) Duff from Balmullo was the winner of the East of Scotland Four Vase Sweet Pea Championship. Amongst other growers, the support from those exhibiting dahlias was phenomenal; red, yellow, white, deep purple were just some of the colours in pompon, mini-pompon and cacti varieties which provided a spectacular display. The colourful theme continued in the floral art category with a large number of exhibits in each class. 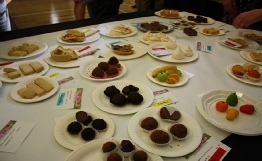 The judge had a tough job of selecting the winners as the quality of the exhibits was very high indeed. The best floral exhibit in show, sponsored by Gladys Lundie, Cupar, was awarded to newcomer Gaye Blair from Cupar, for her fantastic exhibit “Sunburst” – an arrangement in a basket. 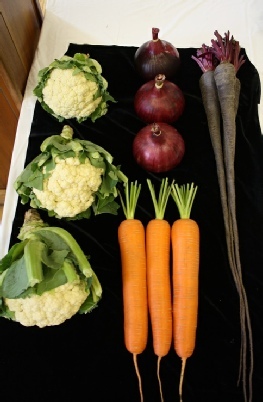 Impressed by the quality of this year’s vegetable section, particularly in potatoes, onions and the root vegetable sections, judges awarded the best collection of vegetables was James Lowe of Kelty who also gained the most prizes in the vegetable section. The industrial section was supported well with a range of home baking, preserves and handicrafts This year’s WRI competition was ‘A Day at the Dunhill’ which saw Dairsie SWRI picking up the trophy. 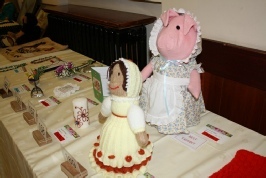 There was an increase in the amount of entries received for the children’s section but the main class, the miniature garden, sponsored by Margaret Aitken, a former committee member and longstanding supporter of the show, was entered by nearly all of the child exhibitors. School pupils crafted a picture of a beach theme using natural materials; the winners of the Schools Challenge Trophy – Kilmaron School (Class 2). Trophies and awards were presented by Mrs Cath Rawlings who is a long-standing supporter of the Show. The generosity of the local businesses through sponsorship or the donation of prizes cannot be emphasised enough; it’s down to them that we are able to award the level of prizes we do. President, Les Wheelans would like to express the sincere gratitude to all the competitors, volunteers and helpers, committee members, sponsors, traders and visitors who made the show a success and hopes for even more participation from the community next year. If you enjoy gardening; create hanging baskets in spring, have a nice patio ornament, maybe have a collection of border flowers, grow your own fruit or vegetables, are good at baking, needlework or floral art, please give consideration to entering next year’s Flower Show. There are classes for children from the under 5’s to 16 years old – encouragement in gardening and vegetable can help to sustain the environment. This is a local amateur competition that is open to everyone, of all ages and experience. 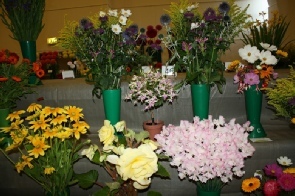 More information will be available from the show website www.cuparflowershow.co.uk or by contacting Wanda Wheelans, Secretary on 01334 654648. Listed below are the various sections available for entry at this year’s show with any specific dates you need to note (i.e. closing date or judging dates). 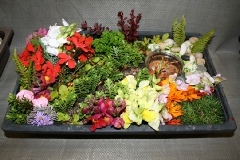 Cut Flowers: includes Sweet Peas, Gladioli, Chrysanthemums & Carnations, Dahlias, Begonias, Herbaceous, Perennials & Annuals.